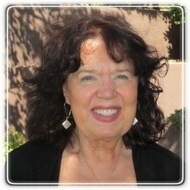 Madison Therapist: Cinda LaMar - Therapist 53705. Send A Message To Cinda. ­ Help and hope are on the way! Are you having relationship problems, feeling depressed and anxious with worries and concerns about your life? With twenty years experience especially skilled in relationship and self-esteem issues, working with a variety of clients I can help you go on with your life and make choices that feel right on the inside. You'll find me dedicated to your personal growth and well-being, focused on respectful, thoughtful counseling. Testimonials: "Cinda LaMar helps restore "hope" to your life. She helps put "hopes" into action and guides in a way that helps one feel confident about life." "Cinda LaMar is not your typical therapist. For her, it's less about business and much more about her commitment to improving how you feel about yourself and your life. She genuinely cares about your personal situation and provides you with the necessary confidence to tackle the issues you are facing. She is truly a therapist who wants to make a positive difference in your life."